If you are looking for heaps of downhill laps outside of Queenstown, look no further as the Cardrona Ski Field has opened up their lifts and dug deep to build amazing alpine trails. Cardrona is New Zealand’s highest mountain bike park which offers an overall experience for everyone. 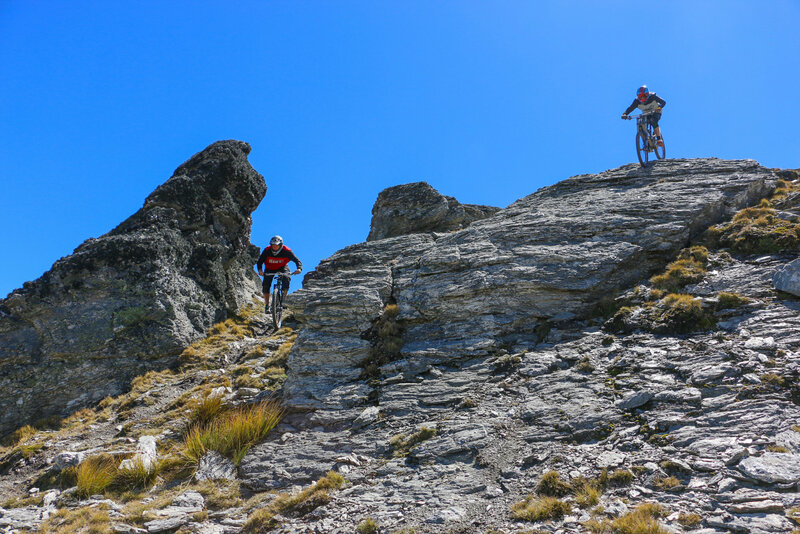 600 meters of vertical lift accessed trails and an epic 1270m descent if you take on the Peak to Pub. Over 25km of trails for everyone advanced to beginner. Plus it just keeps getting better everyday. A learner zone to warm up or practice your skills and Bike School to up your game. Alpine riding at it’s finest – no pedalling – completely lift accessible. This is an experience you do not want to miss! Transport and lift passes start at $129 pp – Half day and full day options. Don’t Miss: Meet the Cardrona hosts under the Archway at 4pm daily for the peak to pub. Descending 1270m in 10km of trail, an epic backcountry freeriding mission to end the day. Ride the lower bike park trails & then join the “Persecution Road”, ending at the iconic Cardrona Hotel. Beer time and the QBT van will be waiting.